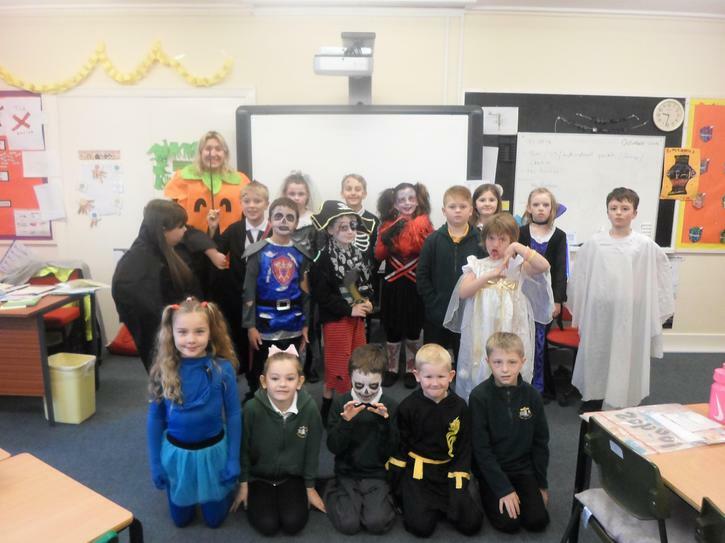 We enjoyed dressing up and talking about our costumes. 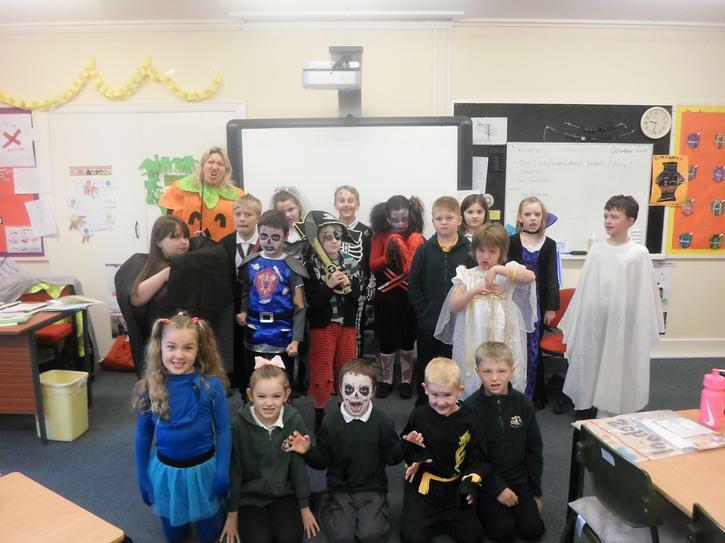 Some of them were pretty scary! These are our normal faces. These are our scary faces! !